Members of the iSCAPE team participated at the first AISAM National Congress that took place in Bologna at the beginning of September (10-13 September 2018). 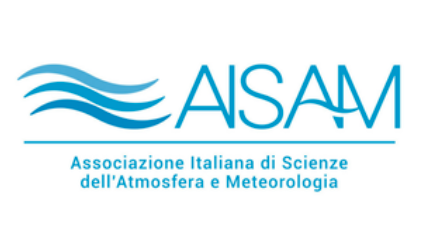 The Congress is the first of what will be a series of meetings amongst members of the Italian scientific community that deal with atmosphere, meteorology and climatology. Partners from the University of Bologna had the opportunity to discuss with other experts that deal with similar subjects (climate change, air quality, and UHI) and explore possible synergies especially in terms of mesoscale climate change simulations. Sul ruolo degli urban street canyon: studio della qualità dell’aria nella città metropolitana di Bologna, Torreggiani L., Brattich E., Barbano F., Barbieri C., Deserti M., Di Nicola F., Minguzzi E., Prandini F., Pulvirenti B., Di Sabatino S.
CFD analysis of scalar transport phenomena within two real street canyons in the city of Bologna, Prandini F., Pulvirenti B., Barbano F., Brattich E., Kumar P., Di Sabatino S.
On the use of low-cost sensors to monitor urban air quality and assessment of their performance, Di Nicola F., Barbano F., Brattich E., Camprodom G., Pilla F., Di Sabatino S.
Influence of synoptic meteorological conditions on particle size distributions collected in two urban street canyons in the city of Bologna, Brattich E., Tositti L., Porcù F., Barbano F., Barbieri C., Minguzzi E., Torreggiani L., Di Sabatino S.
Impact of vegetation on ventilation mechanisms in real urban street canyons: the Bologna iSCAPE case study, Barbano F., Brattich E., Pulvirenti B., Barbieri C., Minguzzi E., Torreggiani L., Nardino M., Di Sabatino S.